Per my usual, I’ve been listening to an audiobook. 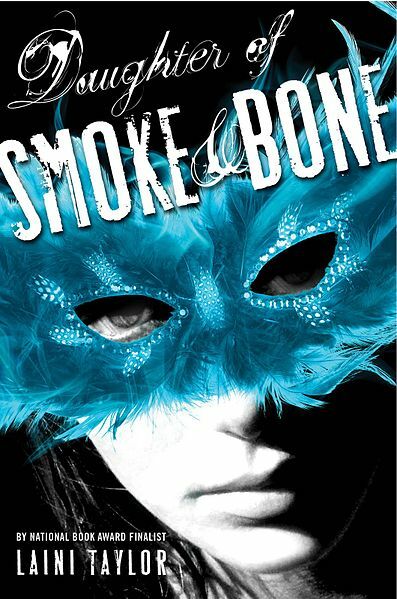 This one is Laini Taylor’s Daughter of Smoke and Bone, the story of a teenage art school student in Prague who is decidedly strange, and you’ve decided that long before you ever meet her family. As I’ve gotten deeper and deeper into the story, things have darkened, become heavier and more fleshed out, but in its early chapters Daughter was a veritable font of whimsy. I love whimsy. It’s one of my favorite things. I guess I should clarify that when I say “whimsy,” I mean, essentially, “fairy tale logic.” The kind of childlike metaphysics that, somehow, makes sense, even though we know it never should. Like how the ribbon Gleipnir, used to bind the ferocious monster-wolf Fenrir in Norse myth, was created by dwarves from the sound of a cat’s footfall, the beard of a woman, the roots of a mountain, the sinews of a bear, the breath of a fish, and the spittle of a bird. Some of these things don’t exist, or are impossible to use as ribbon-stuff if they do, but the idea nonetheless has some manner of fanciful logic behind it. Similarly impossible is one of the central ideas behind Daughter, which is that adult teeth—human, animal, or otherwise—can be exchanged for wishes of varying potencies. Sure, teeth aren’t really worth anything in the real world (aside from a few very special cases), but wouldn’t it make a peculiar sense that they have some secret value only known by a wishmonger called Brimstone? And don’t even get me started on the weapons-grade whimsy powering the Touhou Project games. One of the titles has a villain whose aim is to steal spring—yes, the season—to ensure a magical sakura tree bears a single perfect cherry blossom. This is one of the keys in stand-up comedy (or any comedy, really) because any good joke has a three-step response from the audience. First surprise, then understanding, then laughter. The audience is baffled, then they “get it,” then they laugh. Number three there is where the real work begins. At that point, it becomes all about keeping things consistent. The logic can be fanciful and based on puns, but the only way that a whimsical world can also feel coherent—and therefore be a usable setting for a story—is if there are rules that the world follows. Every twelve hours there’s a 13 o’clock. Some teeth are more valuable than others and are worth better wishes. Spring can be reclaimed even if it was stolen. Even in fairy tales, characters and magic follow the rules. With all this in mind, I urge you to go forth! Write whimsy! The world can use more of it every day. I’m going to get some practice in on it myself.